You are here: Home / Family / Education / The Secret to Making Reading Fun: Children’s Books for Every Occasion! I’ve been (im)patiently waiting all week for you! It’s Reading & Writing Wednesday, and today we’re sharing the best children’s books for every occasion! 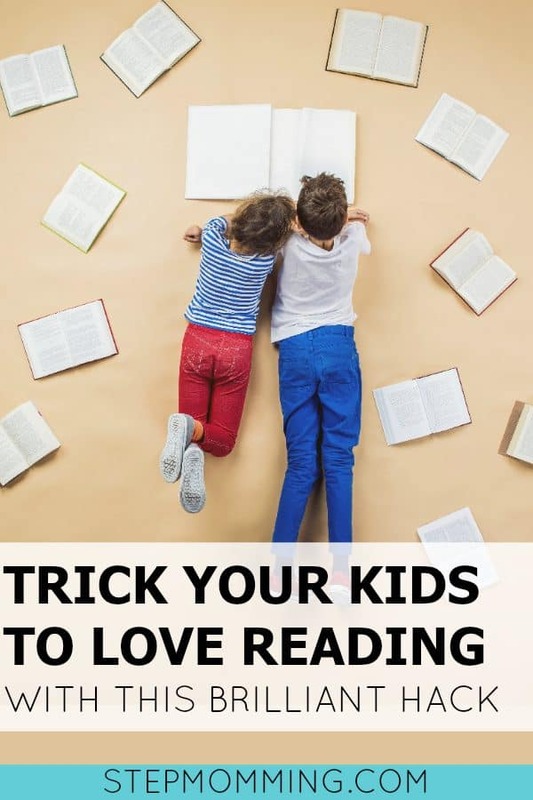 To help you encourage a love of reading in your children. In our house, we use books as rewards, gifts, and entertainment. When my stepdaughter K has been good all week and doesn’t get in trouble at home or school, she gets a new book! 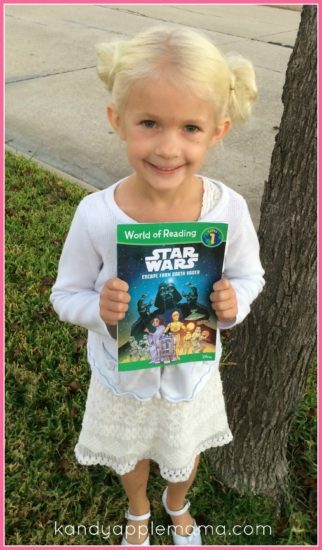 She receives books as gifts from her parents, grandparents, aunts/uncles, and friends. Plus, we have special family reading time each night that she looks forward to as much as any evening out! We’re currently reading The Boxcar Children series – anyone else love those books? As I mentioned, K receives a new story weekly as a reward if she behaves. You’re probably thinking “that’s nuts!” and “how could you possibly afford it?”, right? I know! Luckily, I’ve found some really great deals at Scholastic. They usually have a seasonal little readers 10-pack of books for $10, a general little readers 10-pack for $10, occasionally have 5-packs for $5, and miscellaneous books for $1-2 on value each month. Getting books for $1 (and occasionally $2) is the only way we can afford to offer books as rewards, so frequently. 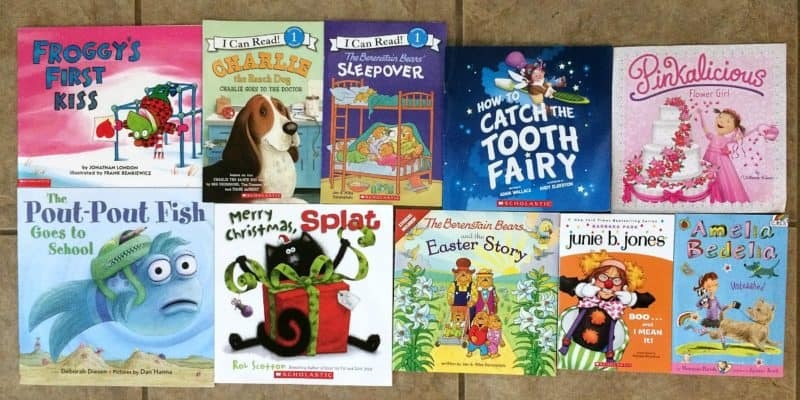 Besides weekly books, we also like to purchase new ones when something exciting happens in her life – especially development milestones like losing her first tooth or exciting events like being the flower girl in our wedding or becoming a big sister. We keep our daughter in love with reading by 1. keeping reading fresh and new with rotating stories, 2. associating it with exciting events, and 3. ensuring we keep books available everywhere at all times so she can’t miss it! Those 3 Sneaky Mom Tricks are the secret to instilling that love of reading. To help your little develop a love of reading too, I came up with a list of huge life events with 4 corresponding titles for each category! Each section includes two little readers books for beginner readers that are learning sight words and simpler stories, and two more complex books for chapter book readers and older students. Step up your game even more and try the 25 Days of Christmas Reading advent calendar this year! 1 book present a day for each of the first 25 days of December! You might have noticed I included a few books from the same series — this was completely intentional. Your little is going to love the characters in these books and want to read even more of their stories! 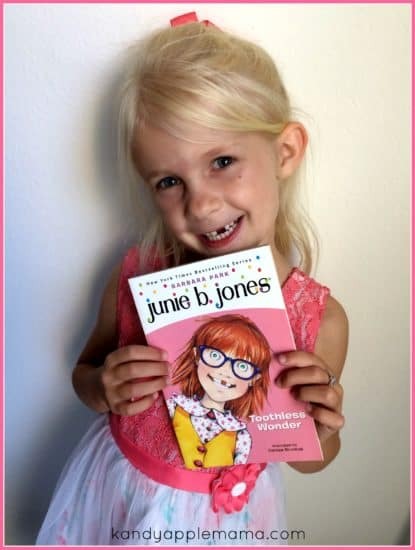 K loves, loves, loves Junie B. Jones books. They were recommended to me by a tutoring student of mine, and when I looked them up online, I wasn’t totally convinced because the reviews mentioned some of the language the main character uses (e.g., “the stupid smelly bus” and “dumb bunny”). But when K continually pushed for more of these chapter books because she just loved Junie, I couldn’t say no! She’s received nearly the entire series for different occasions (they tie in so well!) and never fails to get just as excited for the next one. We just have conversations about acceptable language as she reads. It was the same with Pete the Cat, Splat the Cat, and Biscuit when she was reading her little readers series. If she could have another one of those books, she didn’t want to wait to read it. It encouraged her to behave week after week in order to get a new story from her favorite series. SO sneaky, I know! But it works! That’s it, Mama – the secret to instilling a love of reading in your babies. Keep me posted on how it goes & share your child’s favorite book characters in the comments below! PS: Want in on all of my other sneaky mom tricks for making learning fun? Check out Beyond the Classroom. What an amazing resource! This took some time to pull together — thanks for your diligence. We love finding new books to go along with big events and occasions too! 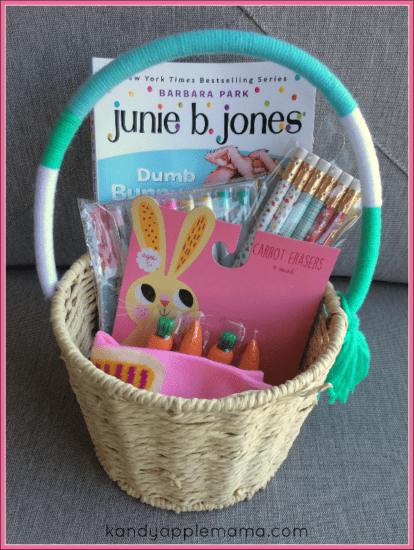 Thanks for sharing this post at Booknificent Thursdays on Mommynificent.com!